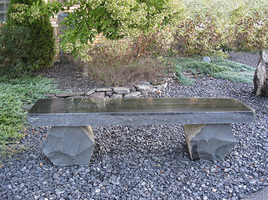 Top: Polished basalt with natural edge. 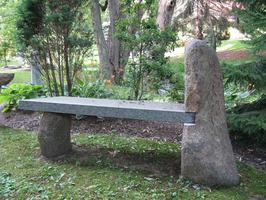 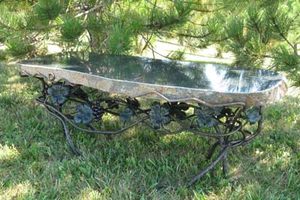 Top: 4'' Flame finished granite boulder. 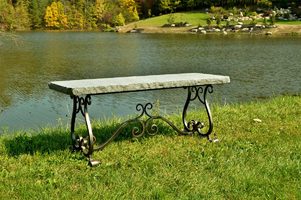 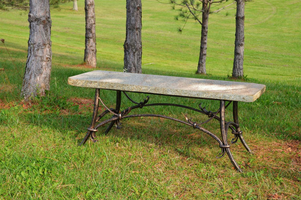 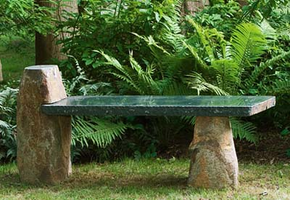 This custom-selected stone paired with the hand-forged iron base makes each of these art pieces unique.